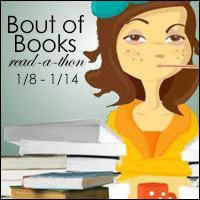 The Bout of Books read-a-thon is organized by Amanda Shofner and Kelly @ Reading the Paranormal. It is a week long read-a-thon that begins 12:01am Monday, January 8th and runs through Sunday, January 14th in whatever time zone you are in. Bout of Books is low-pressure. There are challenges, giveaways, and a grand prize, but all of these are completely optional. For all Bout of Books 21 information and updates, be sure to visit the Bout of Books blog. - From the Bout of Books team"
I know, I know... I'm a lazy person. I wanted to write my sign up post before, but I just kept procrastinating it. But I'm finally doing it! So, I'm proud to announce that I'm joining Bout of Books 21. I'm always excited for a week of non-stopping reading. To update my progress every day. Challenge: Share your 2018 reading goal(s). Since this is my second time sharing my reading goals for 2018 (third, if I count Instagram), I'll be sharing the short version. I'm hoping to finally read 70 books. I've been aiming at this number for three years now because I need to tackle down my TBR pile of physical books and e-books. I'm even joining Beat the Backlist 2018 to do it. Also, I'm hoping to read 50 pages per day. I'LL TRY NOT BE INFLUENCED BY THE HYPE. This will be a difficult one. It's really difficult not be influenced by the hype when a community is shoving down a book down ours throats. How can I resist a book if everywhere I look it's there?! I hope to reach 100 followers on Bloglovin. I know the number of followers shouldn't matter (quality over quantity), but it's a number that matters to publishers and influences their decision when it comes to accepting ARCs request. Hopefully, I'll also reach 2500 followers on Instagram. To have fun. Blogging and reading are a hobby and that's something I will try not to forget this year. 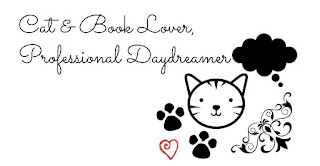 I blog because I like sharing my thoughts on books. This year, I'll attempt not to stress about my stats or about not reading as much as other people. What are your bookish resolutions? Challenge: Book Spine Rainbow. Take a selection of your favourite book spines to make a rainbow! Challenge: ALL THE FAVOURITES! 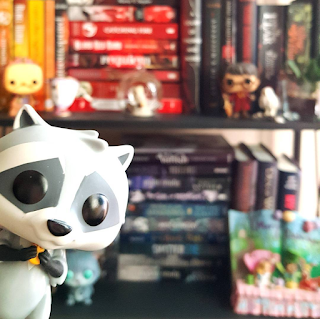 We all have our bookish favourites so why don't we share? 📚 Favourite Series: I could never only choose a favourite books series. First, there is Harry Potter by J.K. Rowling (though I still hate the last two books) since it made me fall in love with reading. Then, The Monsters of Verity by Victoria Schwab, which I'm writing my dissertation on. Also, An Ember in the Ashes by Sabaa Tahir is my favourite on-going series. And I love Six of Crows by Leigh Bardugo because Kaz. And Inej. The Dregs are awesome! 📚 Favourite Library: Can I go with Hogwarts Library? Have you seen how many books it has? 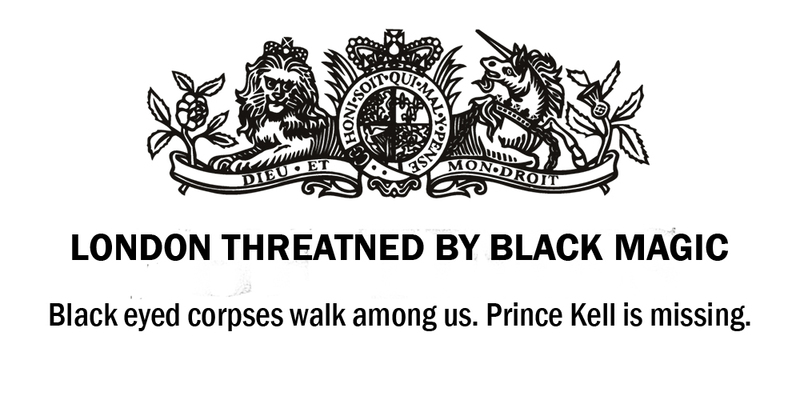 Challenge: Newspaper Headline. 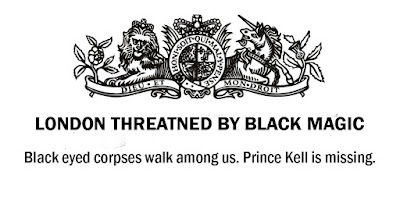 Create a newspaper headline for your favourite story/book. Instead of going with my favourite story/books (how could I ever pick one? ), I decided to choose one of my Bout of Books readings, A Darker Shade of Magic by V.E. Schwab. I may have not met all of my goals (there was one day I didn't read 50 pages but I made up for with all the pages I read on the other days), however, I finished four books and started reading two more. In the end it was a good BoB. How many books did you tackle down? How many pages did you read? Is you TBR pile shorter? I love your bookish resolutions! You've also done an impressive amount of reading in Bout of Books so far. I approve of the V.E./Victoria Schwab theme in your reading choices. I haven't gotten to Monsters of Verity yet, but I look forward to it. Thank you. I hope I can reach all of my goals for this year. I hope you have the chance toread Monster of Verity soon because it's a five stars reading. All those are great! While I love some good contemporary, I often find myself not reading that many classics and that's a resolution I've taken up too XD Good luck with them! Thank you. Good luck to you too. :) I need more classics in my life. There are so many great stories out there and I miss them because I'm always reading the same genre. I hope that is changes this year. Good luck with this! Its been so long since I took part in a BoutofBooks, maybe I should next time. I didn't know about that. Now I'm going to work even harder to reach my Instagram goal. THANK YOU for letting me know. Great goals. I am all for having fun. My biggest thing is not letting all the other stuff get in the way of my reading. Good luck with all your goals!! Aww, Sam You deserved to be mentioned. You're one of the nicest people I've met here, on the book blog community. <3 That's a great idea. I also need not let other stuff get in the way of my reading. Maybe then I'll be able to read 70 books. Thank you. I'm surprised with how much I've been reading. Let's hope I can squeeze a few more pages before Bout of Books ends. Sorry you didn't meet all your goals, but it looks like you still got quite a bit of reading in. I hope you had fun at least! Great job on the challenges and on reading all those books!